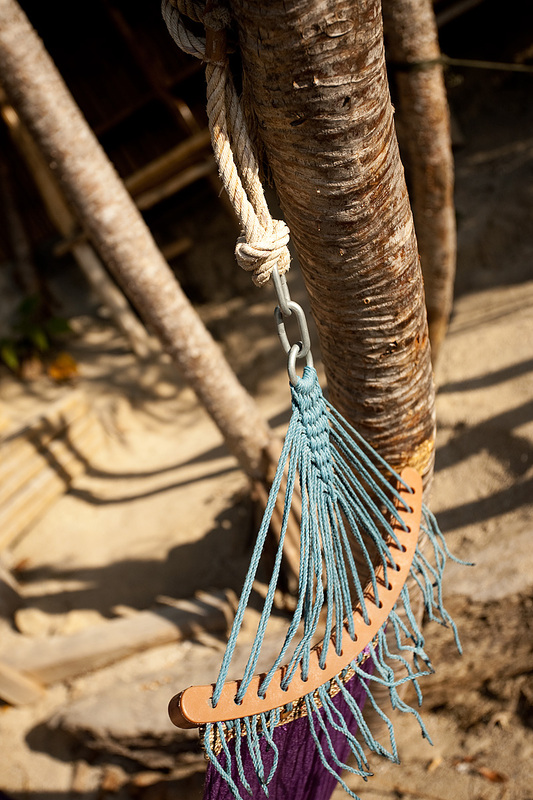 The knotted end of a hammock. No set of tropical photos is complete until an icy drink and/or a hammock has been prominently featured. I'm still working on the icy drink and for an encore, I'll try to include a cliche coconut tree photo with empty beach. 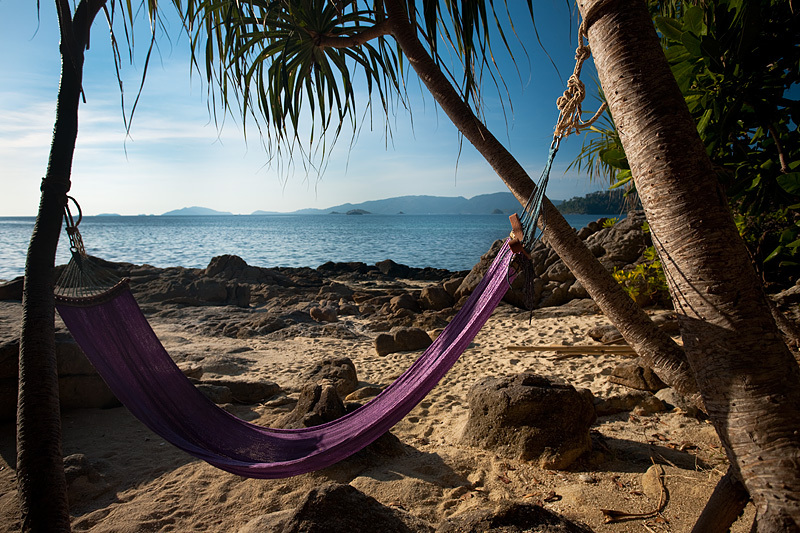 An unused hammock swings on a rocky beach. A rocky beach in the northwest corner of the island. Years ago, this was simply an isolated area reached only by an arduous trek through the jungle. Now, there's a full resort and bar establishment and oodles of foreigners claiming it as their own little secret discovery on Lipe... the one they 'stumbled' upon by following the manicured path.